“The brief of arguments of the appellants consisted of forty-two pages. It was unnecessarily long, windy, confused, confusing, repetitive, and it contained too many narratives rather than arguments..... The brief of arguments of the appellants in this appeal is a clear example of how not to draft a brief of arguments”. The above quote is the comment of a Honourable Judge on the brief of argument of one of the parties in the suit, well if you cannot recognise one, this is a classic bench slap and I wonder how the lawyer must have felt listening to the Justice in open court, if it were me, I will ask the floor to split open and swallow me whole have been slightly embarrassed, well maybe not slightly. 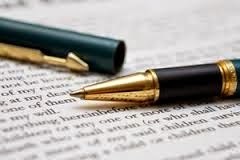 In the legal profession, there happens to be a lot of writing, that’s why one of the invaluable assets that a counsel must always possess is good drafting skills. Briefs of arguments contain the story of a party on which the courts Justices are called upon to adjudicate. Like all good stories, the arguments in brief must flow; they must be consistent, they must be concise, they must be comprehensive, they must be comprehensible; and they must be accurate. Some of the eternal qualities of a good brief of arguments are brevity and precision, no one wants to read pages of unnecessary information that will not help a client or like some lawyers do, include lines from popular poems or dramas. A brief of argument must not be too short as to leave out the essentials and must not be too long as to become otiose. The goal must be to achieve maximum brevity consistent with accuracy and clarity. Counsel must understand that a long and windy brief is discouraging to the court Justices saddled with the determination of an appeal and can only amount to disservice to the cause of a litigant. Litigation is not a long essay competition where success is determined by the length of the brief of arguments and it has been said that repetition does not improve an argument – Uwazurike v. Nwachukwu (2013) 3 NWLR (Pt. 1342) 503. “Drafting is an important tool in advocacy. 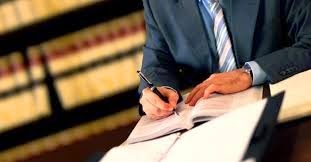 A solicitor who could not resent his client’s case clearly in the brief, if it is a case in the appellate courts, or in the pleadings, if it is a case before the High Court or Federal High Court, could not adequately represent the interest of his clients. An otherwise good case is destroyed and lost by bad pleadings, ...counsel should pay more attention to drafting as no counsel could be good and make marks in advocacy if he is poor in drafting mechanism”. As a lawyer, being excellent at brief writing sounds like an awesome advantage but it takes a lot more than wishes to make it happen. There is no substitute for committing to perfecting both your written and spoken English by reading more, learning new words and writing over and over and over again. Don’t forget that practise makes perfect.